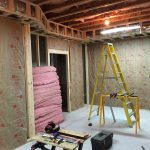 You are at:Home»Geekery»How-to's»Build a Makerspace – Part 4 – Insulated! This place is gonna be LOUD. 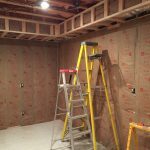 With the Saws, the Hammers and the grinders that will eventually make their way into this room, it was decided early on that the entire space would need to be insulated before the Sheetrock went in. This was actually one of the more costly and time-consuming parts of the build. I can’t blame folks for not wanting to jump in and help with this part as hours of sweating in a Tyvek suit, respirator and goggles is not much fun. I still had plenty of itchy nights after stapling up the pinky goodness. Rolls and Rolls of your preferred insulation. At least one Tyvek Suit , protective goggles, and gloves. 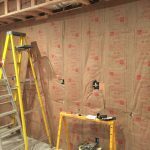 I did a test (though not very scientific) by running the air compressor in the workshop before and after the insulation and the sound suppression when listening upstairs was significant. Also, the room now stays at a very stable temperature regardless of the rest of my basement. I have been considering running HVAC lines into the room off the first floor trunks but may not have to due to this insulation. Nice and clean, Looks like a room now! Had to cut out all the holes for the outlets! 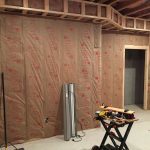 We ran the insulation for the headers inside the framing to save time. 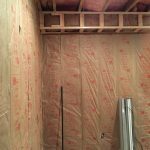 We used some basic R-30 Owens Corning rolls cut down to size and stapled in place. 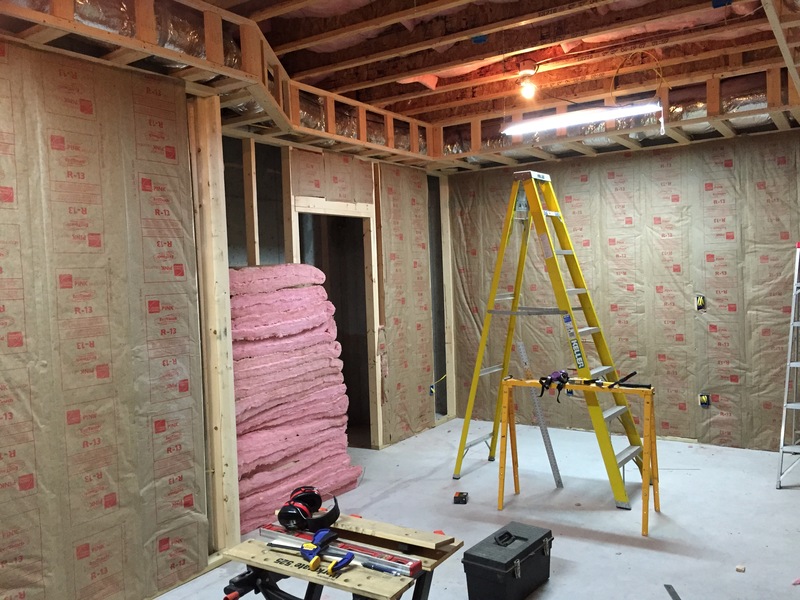 I k now that this is by far not the best option for sound proofing the room but I did not want to spend too much on the insulation and anger the accountant. This stuff fit the bill. In all, this part of the job took about 5 days worth of work divided into about 2 weeks worth of late night and weekend toil. 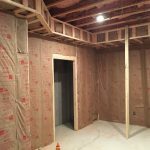 The benefit of the insulation is that once in place, the room looks like the final shape it will be when finished. There is not really an art or science to this part, the insulation has tabs running the length of the roll on both sides. these tabs are for stapling the insulation between the 16″ apart studs. This is however the first time that I could truly appreciate the fact that the studs need to be carefully measured to be 16″ apart.